In 2003 Dave received a "Living Legend" award from the Library Of Congress. 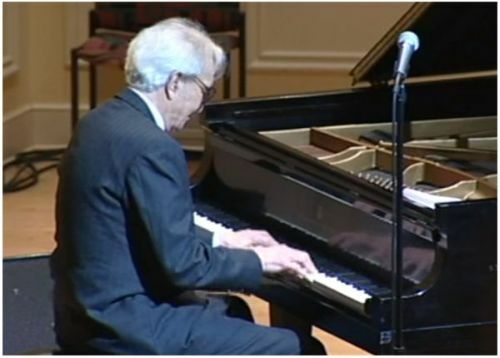 To mark the occasion the Dave Brubeck Quartet played a concert in the Coolidge Auditorium in the Library Of Congress and were joined later by Christian McBride and the Brubeck Institute Sextet. Further details in the "Links" section of this website. Click here for details.